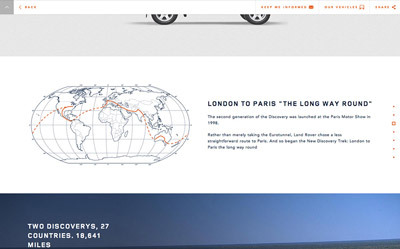 To celebrate the 25TH anniversary of the Land Rover Discovery and the launch of the New Discovery Sport in 2014, we developed a microsite that served as a hub prior to the completion of the new Land Rover website. 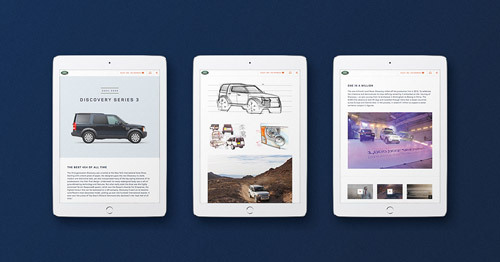 The microsite was conceived in three phases: to celebrate the anniversary of Discovery, to act as a tease for the upcoming Discovery Sport and to reveal the new vehicle. During the first phase of this project I was involved both as a Designer and Art Director. 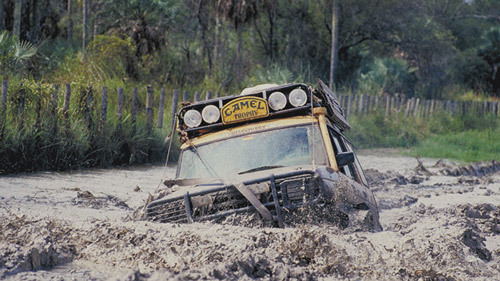 The campaign relived the 25 years of Discovery through the adventures of this iconic car. 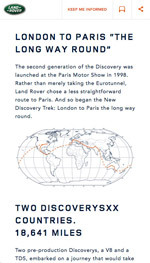 We showcased its incredible capabilities through four extraordinary stories that represent each series of the vehicle, and invited users to scroll down and unveil how Discovery evolved over time. 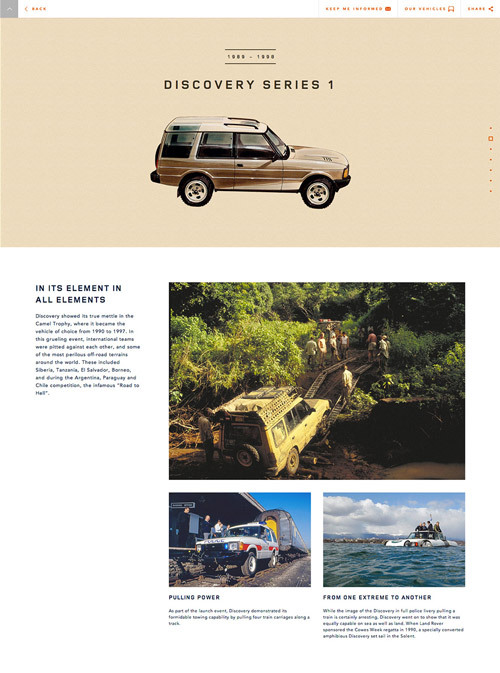 The 25 years of Discovery microsite was the first responsive site ever produced for Land Rover. It integrated the Brand’s traditional colour palette and introduced the new, clean and modular layout developed for the upcoming landrover.com.